The tabletop role-playing game Dungeons & Dragons is more popular today than it has ever been in its 44-year history. If you have some D&D nerds on your list this year, I have five new Dungeons & Dragons books that make great holiday gifts, so get your pouch of gold ready. To be clear, the five new Dungeons & Dragons books on the list below are not the only new releases from 2018. This year has seen several new campaign and content books, as well as an artbook tie-in to another Wizards of the Coast game, Magic: The Gathering, and a new card game called Dungeon Mayhem. Rather than being an exhaustive list of new Dungeons & Dragons books released in 2018, this article aims to present non-players with viable gift options for the D&D hobbyists on their lists. Check the five new Dungeons & Dragons books on my holiday gift guide below, and share your favorite new Wizards of the Coast releases with me on Twitter! Dungeons & Dragons fans know Drizzt Do’Urden, the drow antihero who turned against his evil upbringing. Drizzt returned this year in Timeless, his 31st adventure, which further explores his relationship with his similarly less-than-evil father, Zaknafein. Timeless is the first installment in an all-new trilogy by R.A. Salvatore, which means your Dungeons & Dragons-loving loved one will have more new Drizzt adventures to look forward to in the near future. 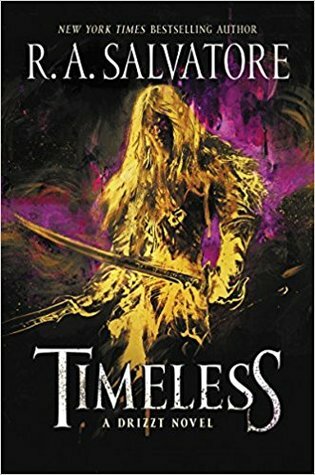 Click here to buy Timeless: A Drizzt Novel. Got a nerdy coloring-book fan on your list? 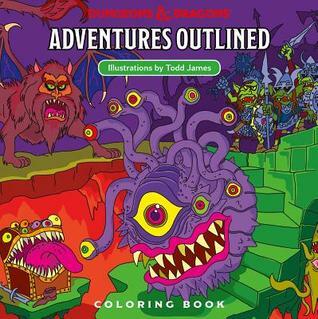 Pick up a copy of Adventures Outlined, the official Dungeons & Dragons coloring book for adults. This book features single-side illustrations annotated with information about some of D&D‘s most iconic enemies, including mimics and beholders. The artsy Dungeons & Dragons fan on your holiday gift list is sure to love it, no matter what age they are. Click here to buy Dungeons & Dragons Adventures Outlined. For the Dungeons & Dragons wunderkind, or the child of your nerdiest friend, these two new children’s books will be welcome additions to the burgeoning home library. These lushly illustrated, slim hardcovers are as lovely as they are practical, and the parents of your youngest nerdling will appreciate the careful thought you put into their child’s gift. 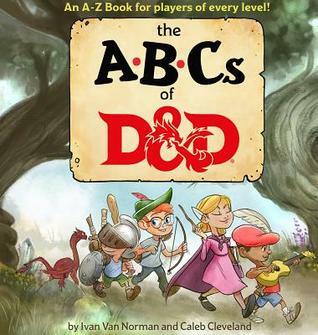 Click here to buy The ABCs of D&D. 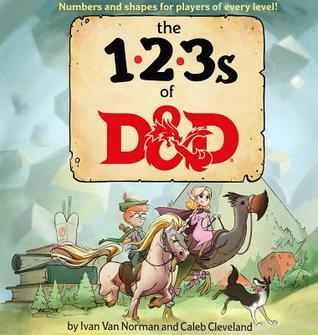 Click here to buy The 123s of D&D. Dungeons & Dragons Art & Arcana: A Visual History by Michael Witwer, et al. 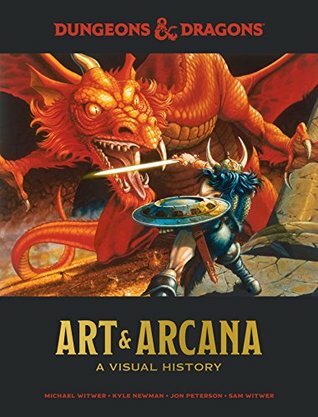 Perfect for longtime D&D players and artsy fantasy fans alike, Dungeons & Dragons Art & Arcana: A Visual History takes readers though the 44-year timeline of the premier tabletop role-playing game’s development. This one book contains more than 700 works of art, from illustrations included in classic game books, to concept sketches never-before-seen outside the walls of Dungeons & Dragons‘ publishers TSR and Wizards of the Coast. Also included are key stories from the game’s history, including tales of its inception by creator Gary Gygax, urban myths and legends from the Satanic Panic, and more. Click here to buy the standard edition. Click here to buy the special edition. I recevied copies I received review copies of some or all of these books from the publisher. Purchase links are included for your convenience. I do not receive any money or other incentives from purchases made via links in this post.